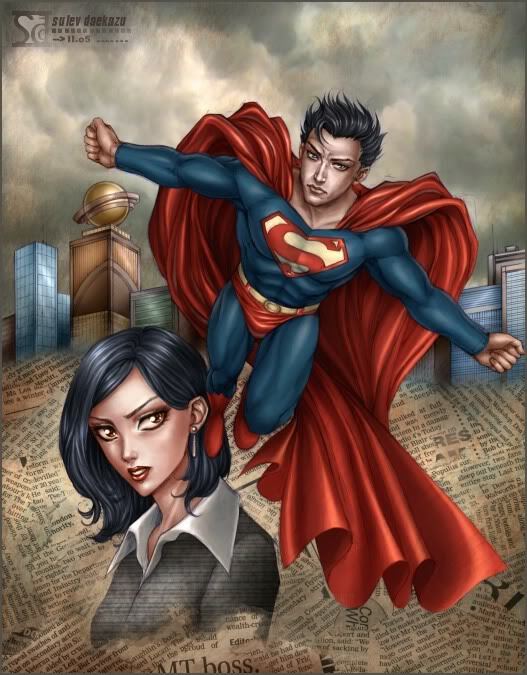 Clark Kent and Lois Lane debuted in the DC Comics publication Action Comics #1 in June 1938. They met as 20-somethings while both were beginning careers as reporters at The Daily Planet newspaper. After a long and tumultuous relationship, they tied the knot in December 1996 and, shortly after, Superman: The Wedding Album was released. Okay, math is not my strong suit, but this happily-forever-and-ever-till-death-do-us-part just doesn’t add up. For one thing, they should already be dead and parted. Where is your head at, Lois? If it took this guy 57 years to propose, how long will it take him to pick up his dirty underwear and throw it in the hamper? 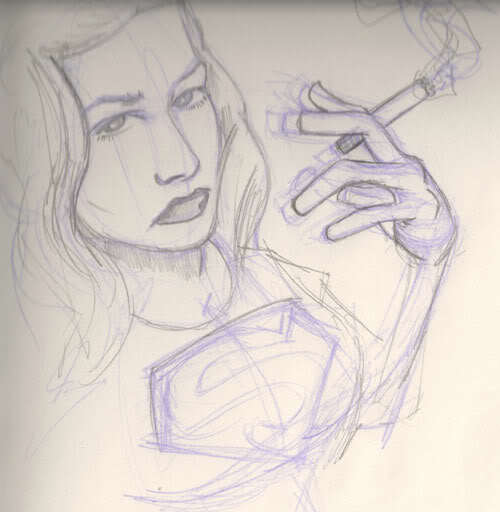 She didn’t seem to be upset that she had been bypassed on the corporate ladder, but let’s face it, how bright can the woman be if she still hasn’t figured out why Clark Kent is never around when Superman is. Oh, I know – her biological clock was ticking. And if she turned Clark down, it could have taken him another 50 years to work up the nerve to propose again. Hell, by then she’d be having her first baby at the age of 127. A sobering thought for a woman who’s already been buying senior coffee at McDonald’s for almost 30 years. Secrets destroyed Lois and Clark’s relationship and led Lois down the road to sin and degradation. My god, she will be 145 when the kid graduates from high school! The obvious problem here, though, is that Clark has never told Lois that he is Superman. This seems to be a MAJOR secret to keep from your spouse. But NEVER should a husband withhold information such as he likes to dress up in red, blue and yellow Spandex, has x-ray vision and was born as Kal-El on the planet Krypton. If Clark doesn’t confide in her, how will she know not to serve Green Kryptonite Jello Surprise at the church potluck? How will she know why he insists on wearing that suit and tie everywhere, even to the beach? How will she warn her girlfriends to wear lead underwear when they visit? The main disguise Clark had for over 50 years was those glasses. As soon as they get ready for bed and he takes off the glasses, Lois will know. Women seldom make passes at superheroes with glasses. And while we are on the subject, won’t that big “S” show through his thin summer pajamas? But we all know it’s when Lois does laundry that she will find out for sure. Because when you find a red cape, Pleather boots and blue tights in your husband’s laundry, you know he’s Superman.